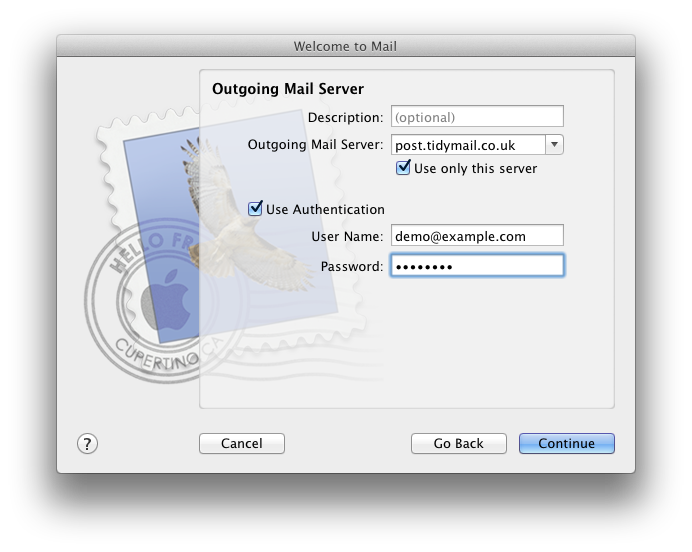 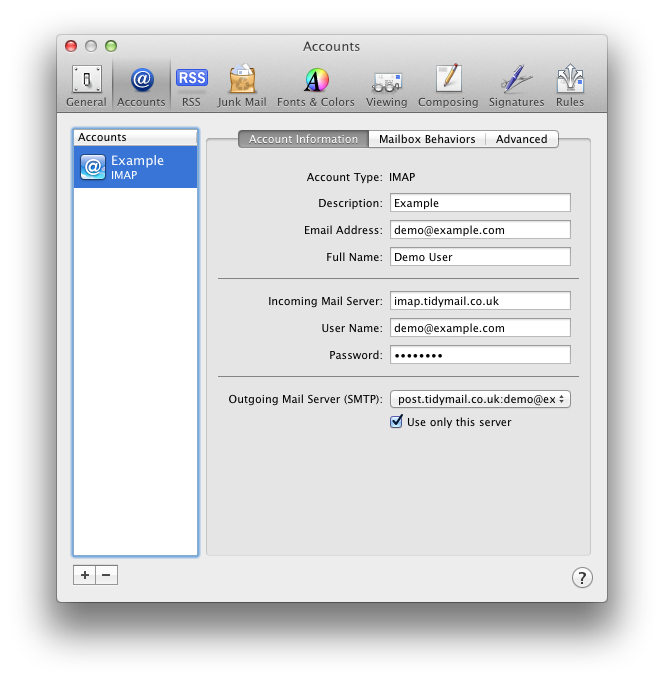 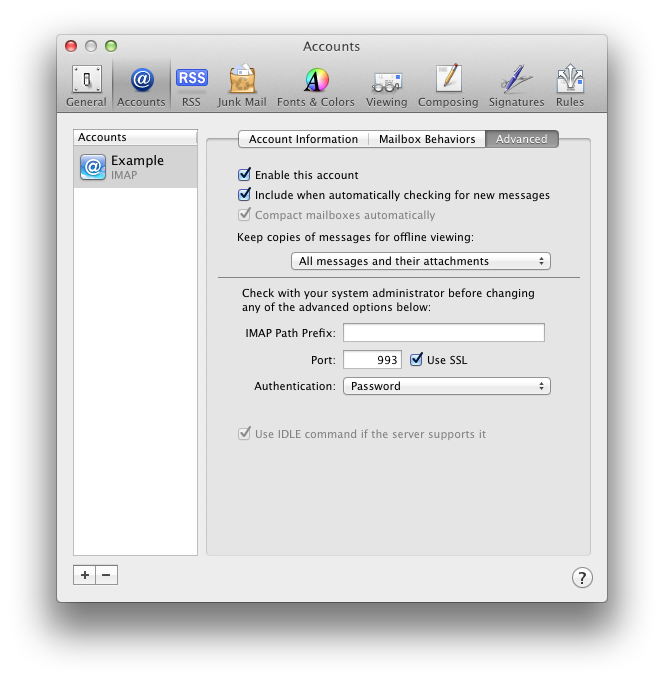 If you have not configured Apple Mail before then you will be presented with the following (if you are adding an account choose Add Account from the File menu). Set the Description if you wish (your email address is as good as anything). 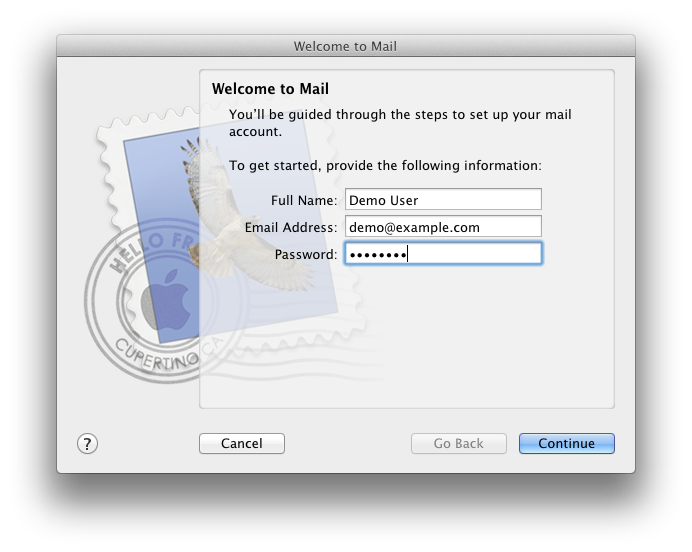 If not already there, enter your Email Address and Password. 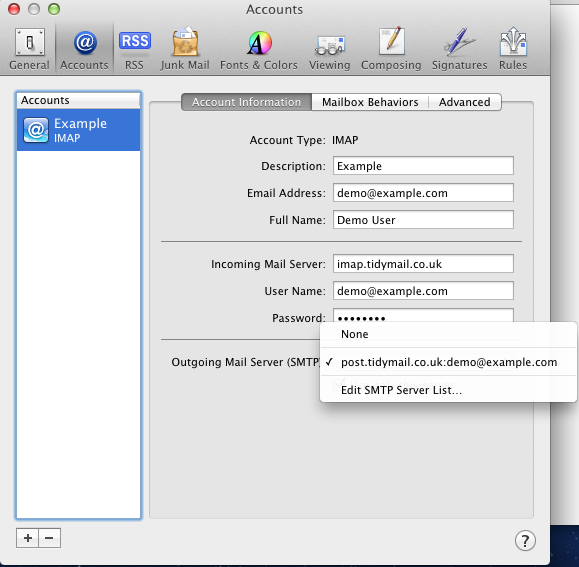 Your account and server details should now be displayed and you can press Create to start using email. 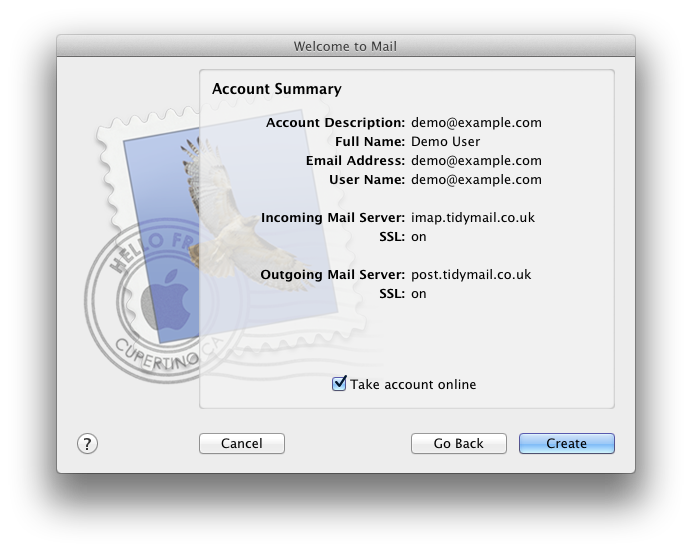 Should you need to adjust the details or wish to check they are correct then select Preferences from the Mail menu, then select the @ icon and then your account. 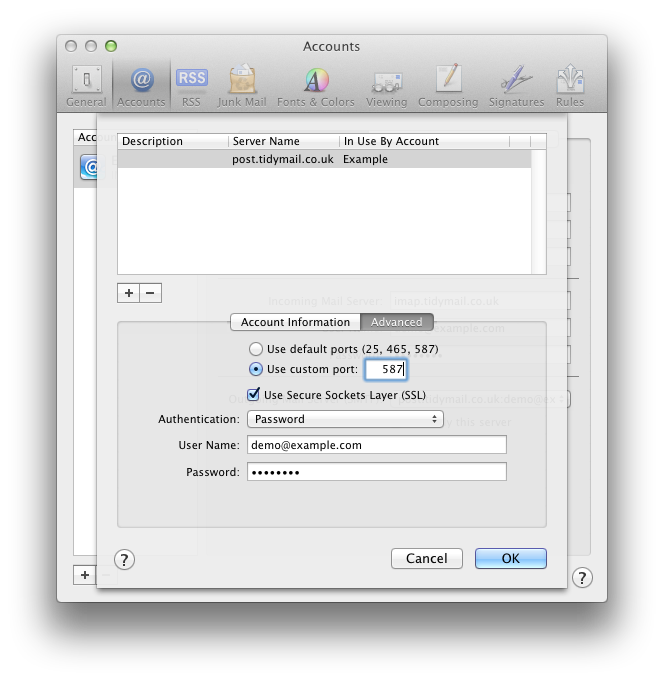 Here we have adjusted the port used to explicitly choose 587 and ensured Use Secure Sockets Layer (SSL) is selected. 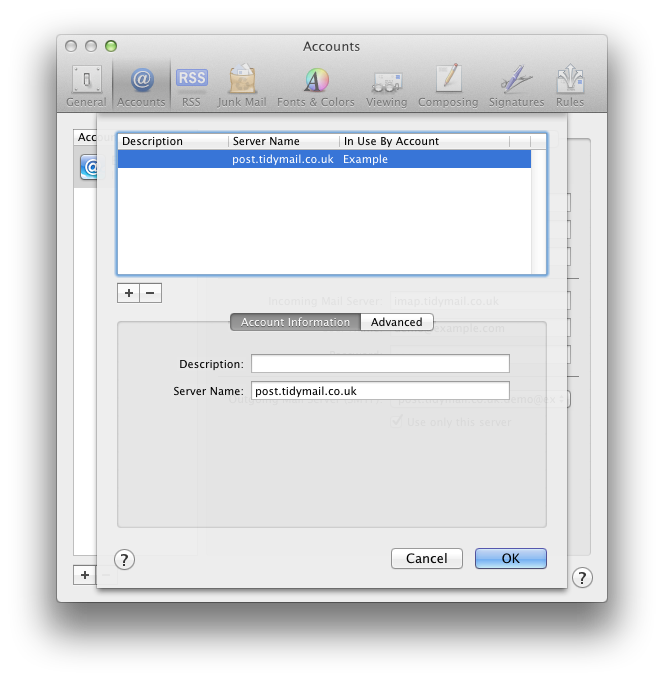 If all the values are correct then press OK and then close the preferences window.